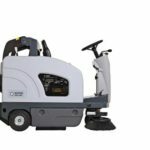 The Nilfisk SW4000 is a ride-on sweeper with hydraulic high dump designed for maximum performance, reliability, minimising downtime and operational costs. 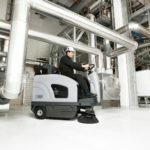 It is the obvious choice for industry and manufacturing, warehouses, distribution centres, school yards, shopping malls, car parks and sport centres. 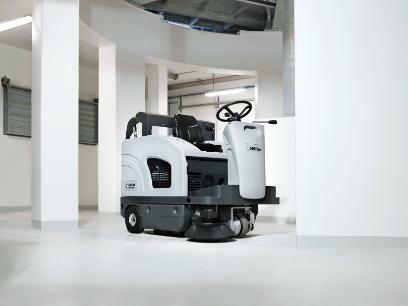 The Nilfisk SW4000 has a one Touch Sweeping is one of the key features making it easy, economical and safe to operate the SW4000. 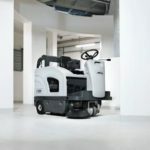 With all functions – main broom, side brooms, vacuum fan and the optional Dust Guard – are activated and terminated simultaneously so that no brooms or fans are running needlessly when the sweeper stands still. 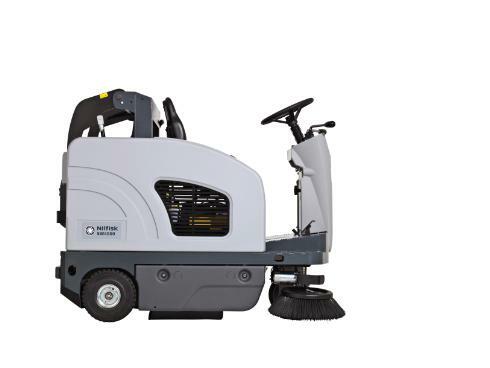 The side brooms have no belts which can break or require changing, thus reducing wear and the cost of ownership. Maintenance is easy as no tools are required for broom and filter removal, also easy access to all components makes maintenance and service fast and uncomplicated. 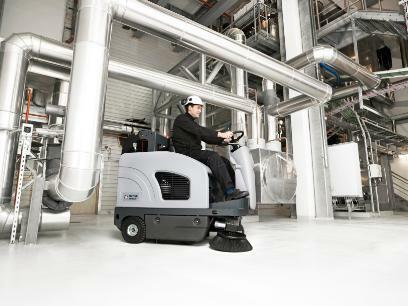 The foam-filled wheels do not go flat or need refills, but add to reliability and comfort. The retractable hopper can be closed from the operator compartment allowing the operator to drive away immediately after dumping into a skip/bin . The comfortable compartment is easy to access, has an adjustable seat and provides an unobstructed view of the brooms and working area.